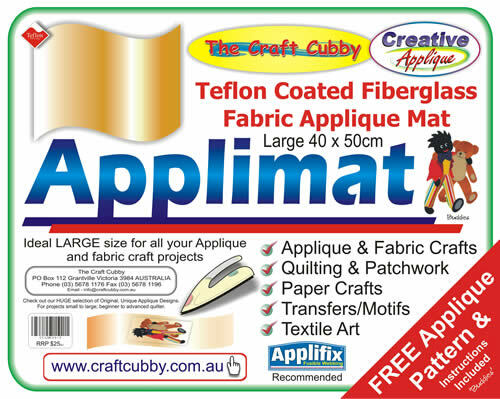 One of the largest Applique Mat's on the market. Made from Teflon, this great mat prevents glue, Applifix or Vliesofix and other fusible webs from sticking to your iron and ironing board. Works perfectly with our technique of Applique The Easy Way for 'Building Up' your appliqué on. As you can see through the mat clearly, you can easily see your pattern underneath. You iron your pieces directly onto your Applique Mat. The pieces stick to each other and not the mat! Large enough for over 95% of our designs! You wont melt it and nothing sticks to it!